Ruian Trustar Pharma And Packing Equipment Co., Ltd.
As long as change machine's mold,within 30 minutes ,you will finish it . 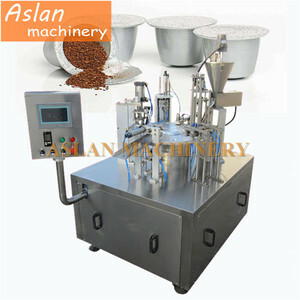 it can take place of vacuum feeding machine Auto counting and sorting device. if any machine goes wrong, we can make solutions in time.
) to be filled and sealed inside empty plastic nespresso capsule. All the parts of machine are made of food grade #304 stainless steel. Q 1 :Are you factory or trading company9 A: We are factory and manufacture. 2.Training We are responsible for offering the technical training to user. The training content includes the structure and maintenance of the equipment, control and operation of the equipment. Through training, users' technical staff can grasp and the skill of operation and maintenance proficiently, and deal with the general troubles in time. Suzhou Expak Imp&Exp Co., Ltd. The warranty period is 12 months after acceptance check of the production line. We are specialized in manufacturing tube filling and sealing equipments for more than 10 years. Many trading companies order from us export to their customers. About after sell service of our aslan machinery Usually machine guarantee time is about 1 year. About payment term of our aslan machinery Currently, in order to protect you and us rights. About online Service of our aslan machinery 24 hours online to solve any problem. Shanghai Yingmai Packaging Technology Co., Ltd.
Shanghai Boom Packaging Machinery Co., Ltd.
Other Products Q 1 :Are you factory or trading company9 A: We are factory and manufacture. Q 2 : Where is your factory located9 How can I visit your factory9 A: We are located in Shanghai, you can fly to Shanghai Hongqiao airport or Pudong airport. Q4 : What is the payment term9 A: 30% T/T deposit and 70% T/T balance payment before shipping. Guangzhou Chaoyue Machinery Equipment Co., Ltd. It is mainly used in the products packing like: coffee powder, milk powder, or any other instant drinks powder and so on. And now our products sells well in the mainland and also some more than 50 other countries in Europe, America, and Asia. 3. Package The Seller packs all of the machine and parts in the firm wooden case that suitable for sea shipping. 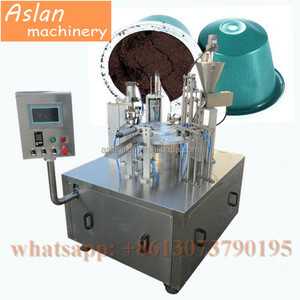 Henan Joconn Machinery Co., Ltd.
Alibaba.com offers 1,967 nespresso coffee capsule packing machine products. 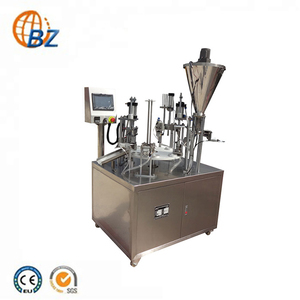 About 47% of these are filling machines, 41% are multi-function packaging machines, and 2% are other packaging machines. A wide variety of nespresso coffee capsule packing machine options are available to you, such as beverage, apparel, and food. You can also choose from capsule, bags, and bottles. As well as from metal, paper, and plastic. 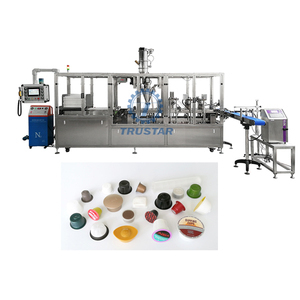 And whether nespresso coffee capsule packing machine is filling machine, multi-function packaging machine, or sealing machine. There are 1,987 nespresso coffee capsule packing machine suppliers, mainly located in Asia. The top supplying countries are China (Mainland), Hong Kong, and Italy, which supply 98%, 1%, and 1% of nespresso coffee capsule packing machine respectively. Nespresso coffee capsule packing machine products are most popular in North America, Domestic Market, and Western Europe. You can ensure product safety by selecting from certified suppliers, including 236 with ISO9001, 22 with Other, and 4 with HACCP certification.